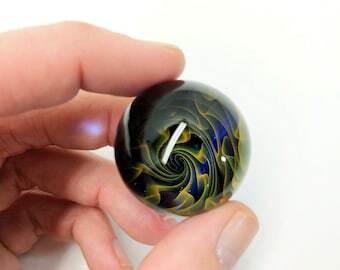 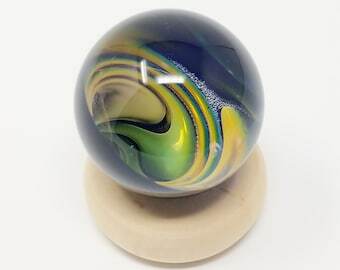 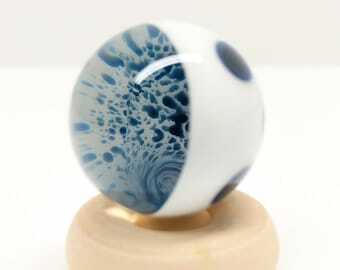 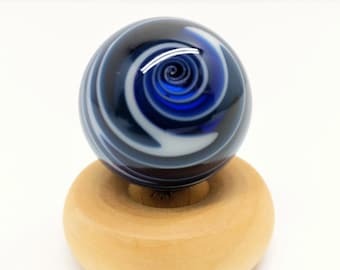 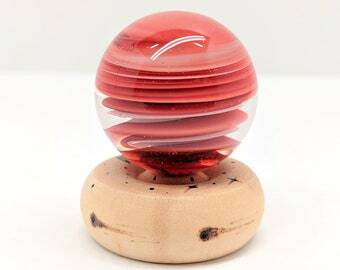 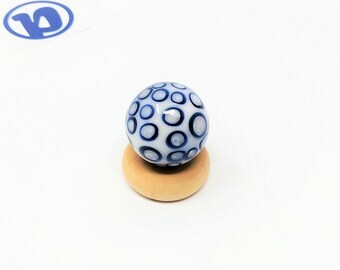 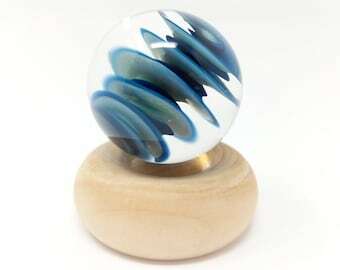 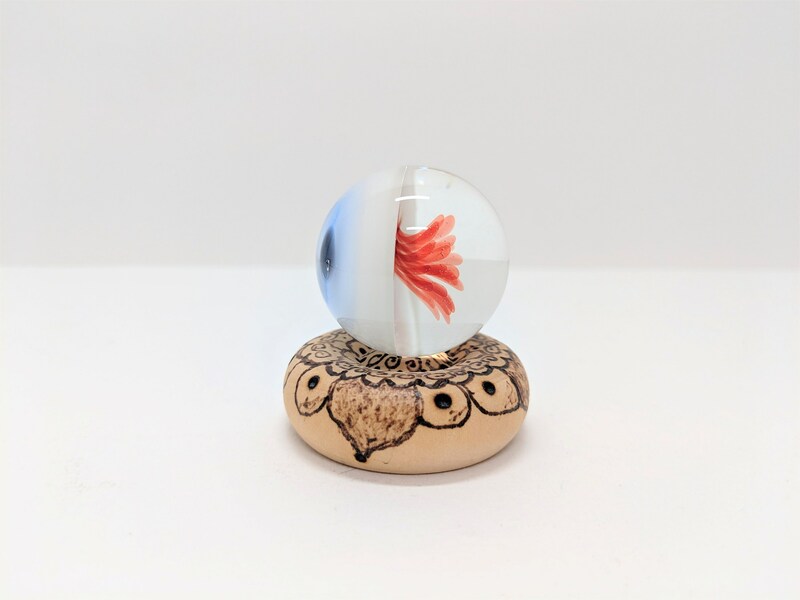 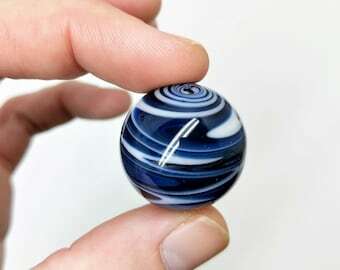 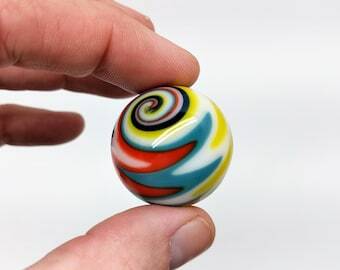 This eyeball marble was handspun by Pathways artist, Sean, With the front of the marble designed to replicate a glass eye, the back is a clear lens with optical nerves. 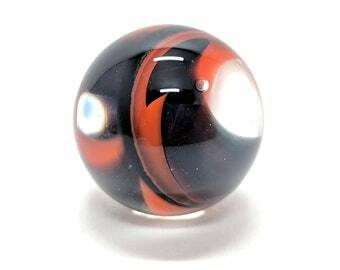 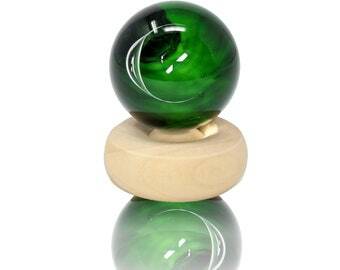 Great decor for Halloween or Halloween Marble Hides! 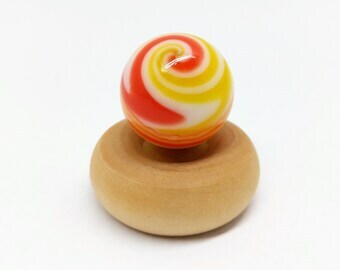 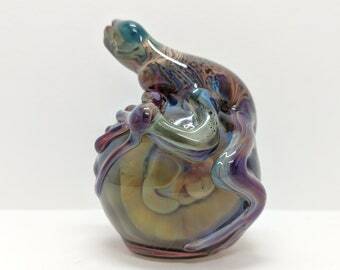 Orders are processed within 1 business days. 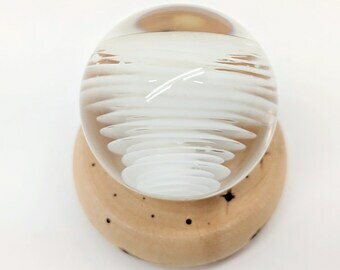 Shipping is typically between 1-5 days (no deliveries on Sundays), Shipping details will be provided once order is processed.